Memorial Hall Artist Karyn Olivier Isn't After Resolution. She Wants More Questions. 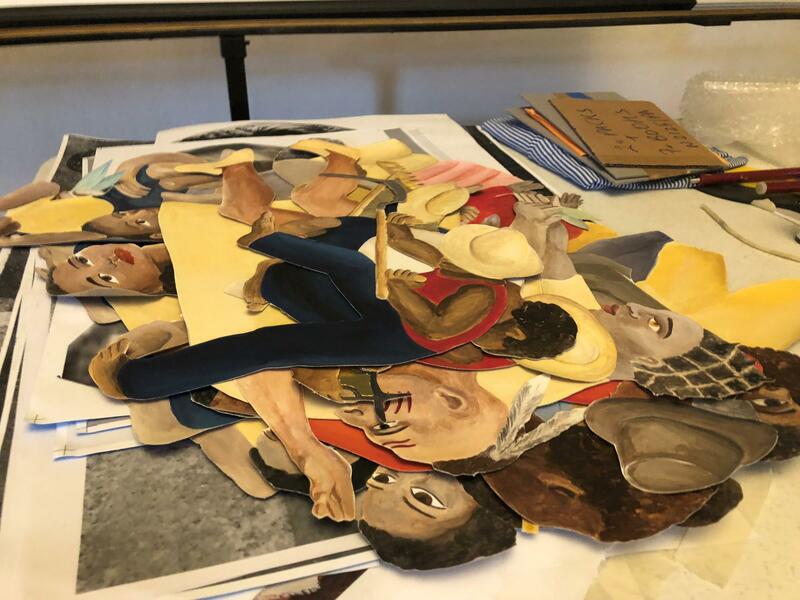 Philadelphia-based artist Karyn Olivier is putting the finishing touches on new artwork aimed at re-framing the space surrounding a controversial mural in the University of Kentucky’s Memorial Hall. 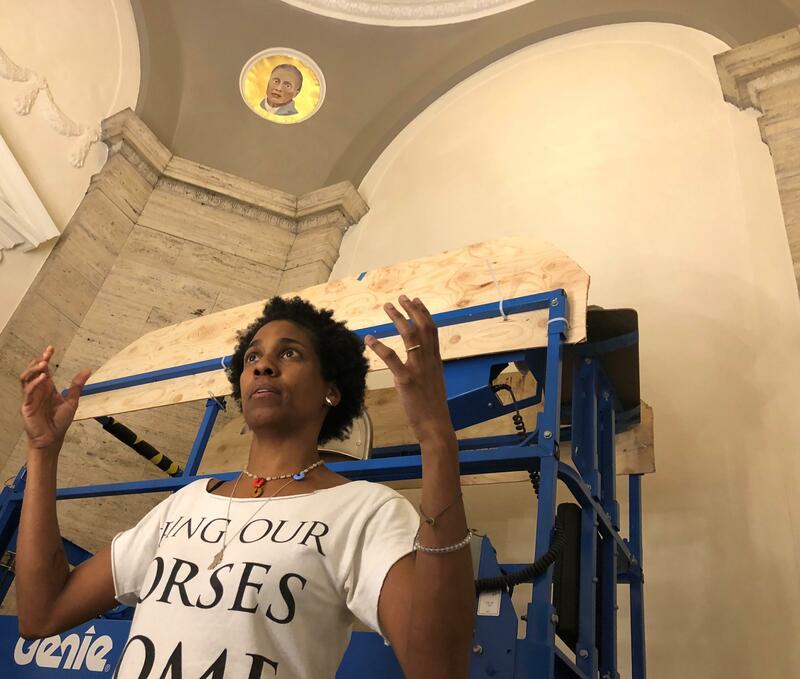 Philadelphia artist Karyn Olivier describes her vision for the vestibule leading into the University of Kentucky Memorial Hall lobby, where a controversial 1934 mural greets students, faculty, and visitors. The changes debut this Friday, August 17, 2018. 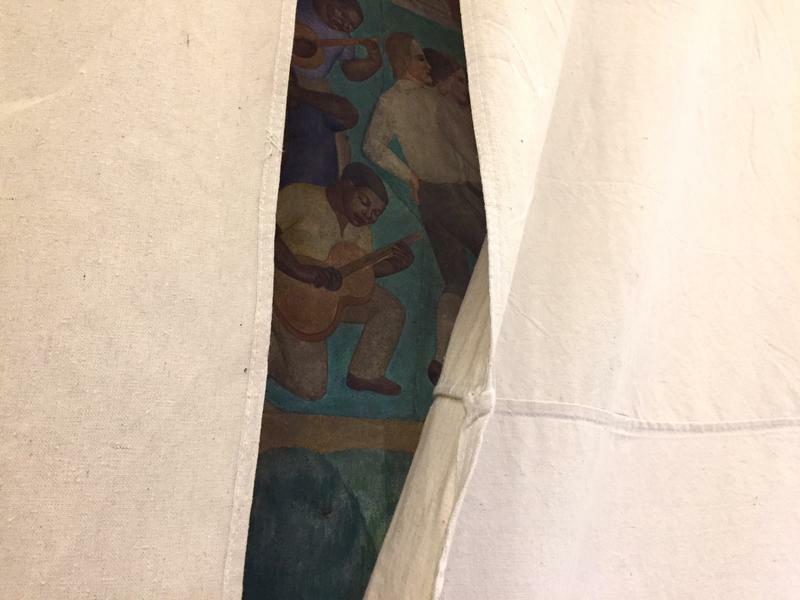 Rather than crowding new art into the space around the 1934 Ann Rice O’Hanlon mural that’s drawn criticism for its depiction of African-Americans and Native Americans, Olivier’s vision involves recreating images of those unidentified figures seen toiling in the fields and playing music and incorporating them into the dome itself – lending the likenesses a new place and significance. "One thing it's doing is... you're taking the folks who were considered lowly or insignificant, who were anonymous and didn't have names, and now I'm elevating them to the level of the divine," she says. "So I'm taking the low and making it high." But Olivier doesn't expect – or want – her interpretation to win out. If her contributions offer simple, readymade answers to the often messy questions raised by Kentucky's history, she says she won't have done her job. 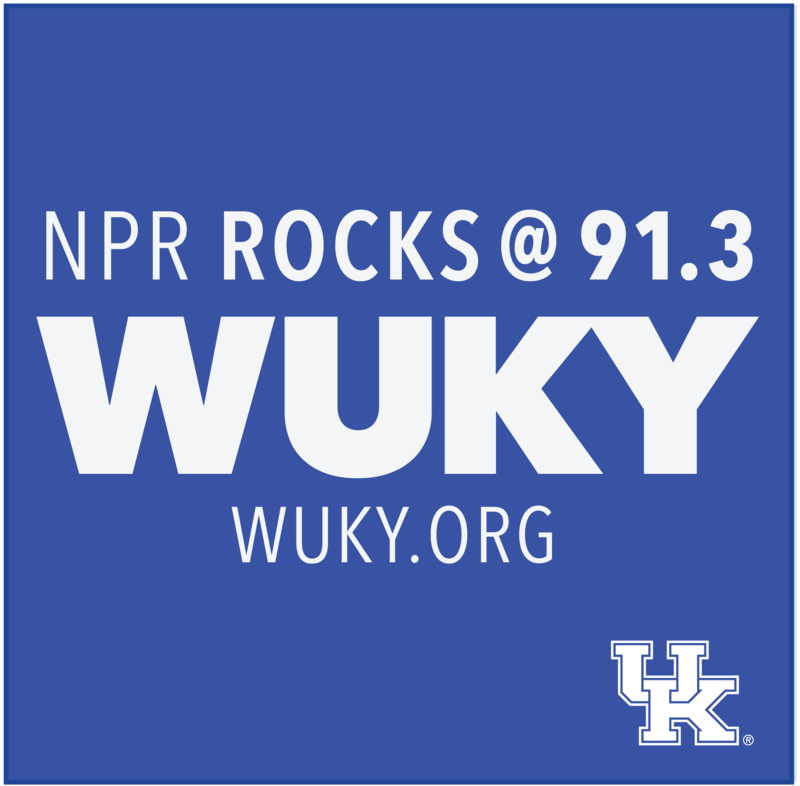 These cutouts - meant to mimic the most controversial images in the mural - will grace the dome that caps the entryway into the University of Kentucky's Memorial Hall starting August 17, 2018. "The role of art is not to resolve things," she explains. "If my piece kind of neatly packaged it up, then the conversation is done and the piece failed." Stuart Horodner, director of the UK Art Museum, notes that the conversation started long before student concerns sparked a discussion with school administrators about the lobby fresco. "It was on the wall and appreciated and challenged and questioned from the time that it was made until today," he says. "You never want to censor art or eradicate art. You want to kind of re-look at it, re-educate, re-engage." The project, called "Witness," serves as the culimination of a roughly two-year ongoing dialogue about how to handle the artwork that greets countless visitors to Kentucky's largest university. In addition to transporting the most talked-about elements of the mural into a new setting, portraits of important but sometimes overlooked Kentucky historical figures, including First African Baptist Church founder Peter Durrett and the state's first African-American state senator, Georgia Davis Powers, will gaze down at people entering the iconic UK building. Rather than erase the complicated and painful feelings the original fresco may evoke for some, Olivier says she tried to create "something that both allows people to honor how they've considered... that mural, but maybe I've allowed another entry way or some sort of peep hole into another possibility." UK officials say the newly-reimagined entrance will be finished Thursday and unveiled Friday. A 1934 University of Kentucky mural that was covered following a campus controversy over its depiction of African-Americans working in the fields is set to be re-unveiled Thursday. Art experts joined University of Kentucky faculty and students for a forum on public art and its proper role Monday. The event was part of a bourgening campus and community conversation centered around diversity and inclusivity. 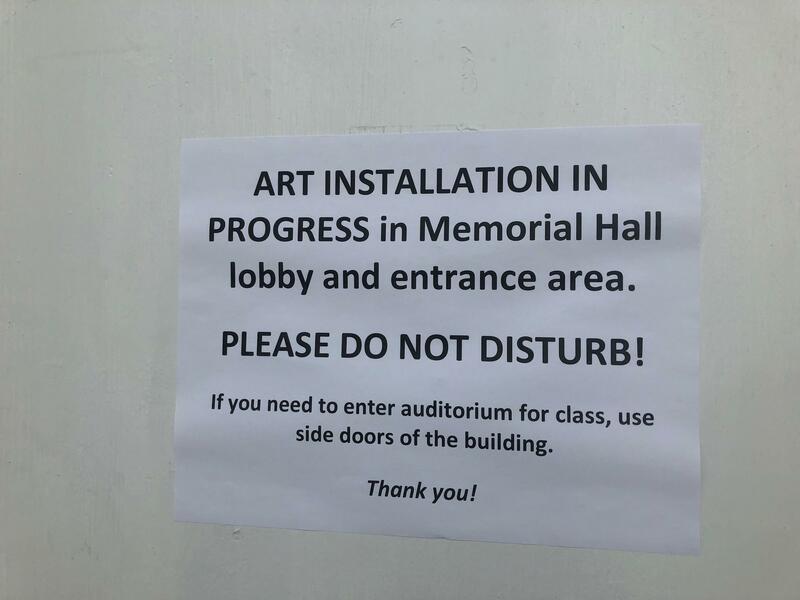 A Depression-era mural displayed in the atrium of the University of Kentucky’s Memorial Hall atrium will soon be covered up from public view.